At Stirling Fruit Farms we’ve been growing apples for over three generations. We grow over 35 apple varieties in our orchards in the Annapolis Valley of Nova Scotia. Each apple has its own unique taste and characteristics. We love them all! Here are a few of our more popular varieties. Apples are listed alphabetically. 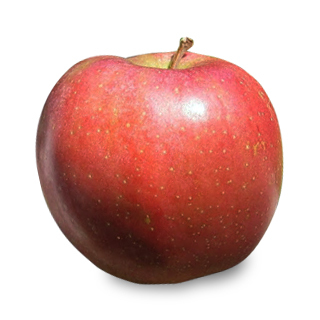 An attractive apple, Ambrosia has a bright pink blush over a creamy yellow background. Tender juicy flesh, with a crisp texture and natural honeyed flavour. This sweet, low acid apple is easy to digest. Ambrosia is slow to brown when cut and is perfect for use in salads. Did you know? Ambrosia, in Greek mythology, means food of the gods. The Ambrosia apple was registered in 1993. It was discovered as a chance seedling in an orchard in British Columbia. 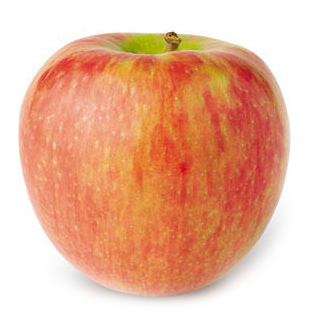 A great all-purpose apple, Cortland has a hint of tartness, yet is sweet compared to McIntosh. 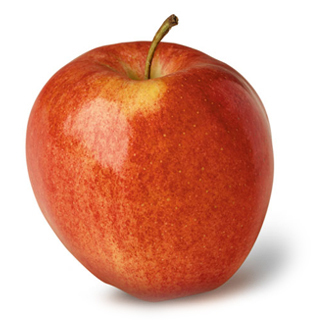 A nice red color apple with a greenish yellow background. The soft flesh inside is snow white. Did you know? Cortland was first developed in 1898 as a cross between Ben Davis and McIntosh. 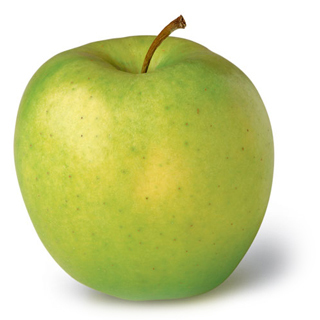 This apple is typically greenish on the outside with a creamy white, firm textured, juicy flesh. A moderately sweet flavour. Bite into a Crispin for a great crunch and mouthful of sweet juice. Did you know? Crispin was first developed in 1930 as a cross between Golden Delicious and the Japanese variety Indo. Originally named MUTSU, it was renamed Crispin in 1968 in the United Kingdom. The name was adopted by North America several years later. 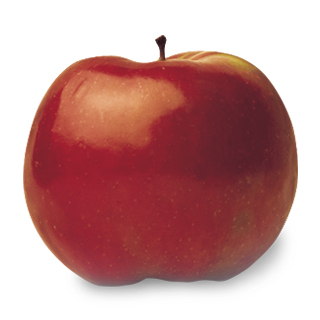 A firm apple, generally round and bright red in colour. A crisp and creamy white flesh. Empire has a mild, tart flavour that improves in storage. Small Empire are great for lunches, as kids love its sweet, super crunchy texture. Did you know? 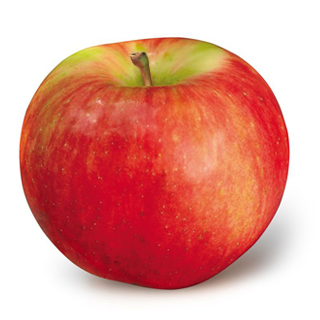 Empire is a cross between McIntosh and Red Delicious and was first introduced in 1966. 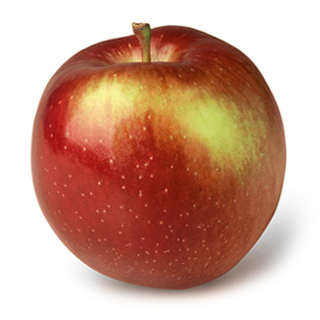 A tall, slightly irregular shaped apple, Gala has a shape similar to the Golden and Red Delicious apples. Light red in colour, with bright yellow undertones. Gala has a mild sweet taste with a crisp texture. Thin skinned, with a natural overall sweetness, Gala is a favourite for snacking! Did you know? Gala is one of the most widely grown apple varieties. Truly an all purpose apple, Golden Delicious is well loved the world over. Thin skinned with a soft texture. Naturally sweet, cooks wanting to use less sugar in their recipes often prefer Golden Delicious. Did you know? Golden Delicious was the second most popular apple in North America for many years. First introduced in 1914, Golden Delicious is a cross between Golden Reinette and Grimes Golden. The cooking apple of choice in Nova Scotia kitchens. Gravenstein is roundish in shape and has a thin skin. Greenish-yellow to orange-yellow in colour, with light and dark red stripes. The flesh is firm, crisp, aromatic and juicy. Did you know? Gravenstein was originally found in the Duke of Austinburg’s garden in Grafenstein, North Germany in 1699. 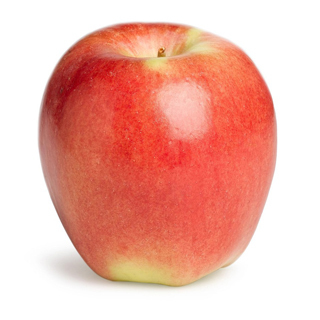 A medium to large apple, Honeycrisp has a yellow background covered with a red to pink blush. Sweet and juicy, the creamy white flesh of Honeycrisp has a distinctive and explosively crisp texture! Honeycrisp maintains its sweetness even when cooked. Did you know? 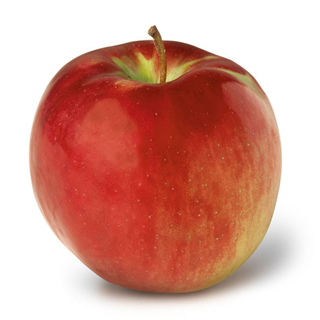 Honeycrisp was first introduced in 1960. It is a cross between Macoun and Honeygold. 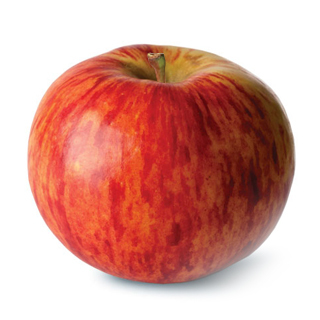 A medium, round apple, Idared lives up to the rich, red colour in its name. Juicy, yet crisp and firm. An apple both sweet and tart in flavour. Great eating fresh or in salads, Idared are especially good for baked apples, as they hold their shape when cooked. Did you know? Idared is a cross between Jonathan and Wagener. Developed in the 1930’s using these heritage varieties as parents. 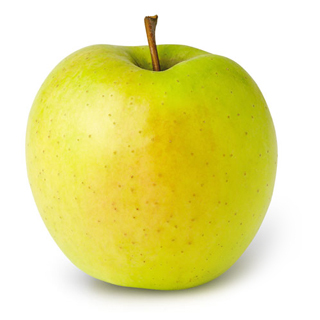 A large, round apple, Jonagold has a creamy yellow flesh that is crisp and juicy. A balanced blend of sweet and tart flavour. Jonagold shares the aromatic honey-like scent of Golden Delicious. Did you know? Jonagold is a popular dessert apple. First introduced in 1968, it is a cross between Golden Delicious and Jonathan. 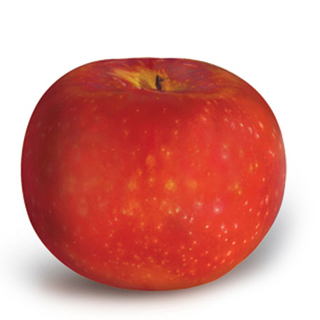 A small to medium sized red apple, Macoun has crisp, juicy, snow-white flesh. This apple is one of our best-kept secrets. Get them early while they last because they are only available from mid October to late November. Excellent for eating fresh. Did you know? Macoun was first introduced in 1932. 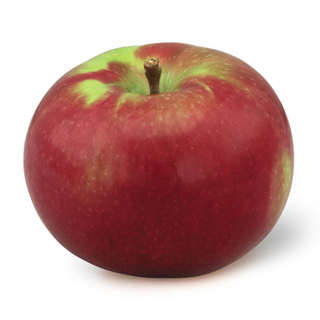 Always a favourite, McIntosh is a medium size, irregular to round shaped apple. This classic is red with a green splash of colour. Soft, juicy, white flesh is mildly tart but sweetens as it ripens. Did you know? McIntosh is the world’s most popular apple variety. McIntosh originated in 1811 as a chance seedling by John McIntosh of Dundela, Ontario. 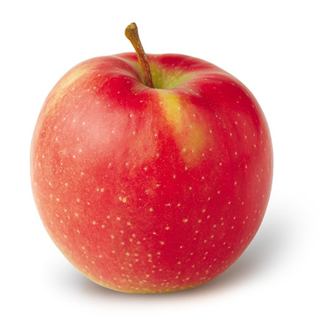 An attractive apple, Paula Red is reminiscent in appearance of the McIntosh. Red coloured skin is covered in gold spots, inside there is white flesh. Paula Red is a firm, crisp and juicy apple, both sweet and tart in flavour. A perfect apple for back-to-school lunches. Did you know? Paula Red was discovered as a chance seedling in 1960. 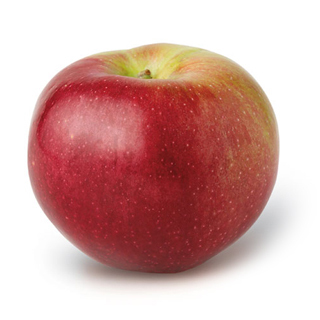 A medium to large size apple, Red Delicious is firm, sweet, and juicy with a crunchy texture. Dark red with a long, tapered shape and distinctive five points. Excellent for eating fresh or in salads, this soft apple is not recommended for cooking. Did you know? 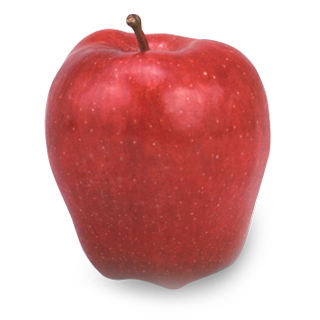 Red Delicious is the most well-known apple variety in the world. First discovered as a chance seedling in 1893. 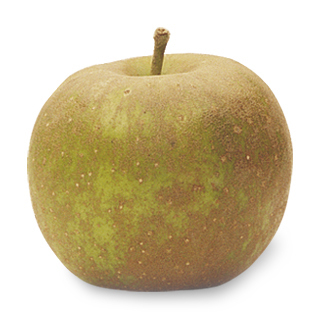 A medium to small apple, Russet has typical rough brown patches on the skin that gives it its name. This apple has a sweet-sour flavour. Excellent for snacking and great in cooking and apple ciders. Did you know? Russet is the term given to the dull brown and rough finish to the skin of some apples. Russet apples have been a European favourite since the early 1800s. 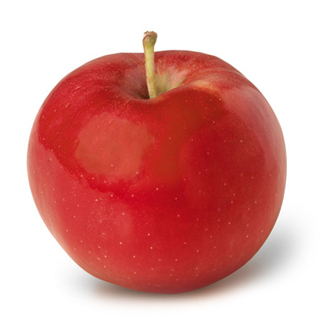 A medium size, bright red apple, Spartan has a firm, crisp texture. Its crisp, white flesh is especially juicy with a balanced sweet-tart flavour. Did you know? Spartan is derived from a McIntosh apple. First introduced in 1936 in British Columbia. A medium to large size apple, Splendor is firm, sweet, and juicy. A reddish orange apple, with a thin skin and pale to yellow flesh. Did you know? Splendor apples are known as sweet dessert apples. Medium to large in size, Zestar! has a yellow-green skin with orange and red streaks of colour. Crisp and juicy white flesh, with a sweet-tart flavour. Zestar! is a great snacking apple. These refreshing apples keep their crunch. Did you know? Zestar! apples maintain their great taste and crunch for two months in the refrigerator. Their “zesty” flavour with a mix of tangy and sweet earned the apple its name!